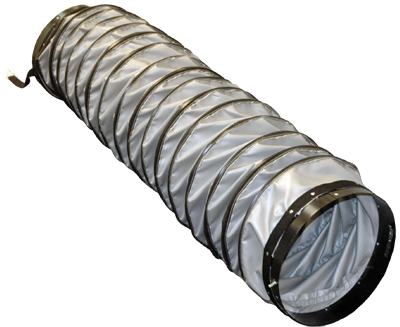 Ultratex™ is a highly durable heater duct designed for portable / temporary heating applications with temperatures up to 500°F. Made with fiberglass coated with a specially formulated dry silicone rubber which is flame retardant and has high abrasion and oil resistance, making it ideal for the oil and gas industries. Ultratex™ is available from 4″ to 60″ diameter and available in lengths up to 50′. Ultratex™ is available with options to fit virtually every portable heater.